Put the salt and flour into a bowl, add the water slowly and mix to form a dough. After five to ten minutes of kneading, it should form a soft, pliant ball. If it’s slightly too sticky, add more flour and if it’s slightly too dry, add more water. To make coloured dough I add food paste to the water prior to mixing. However you may wish to try adding natural colouring like instant coffee, cocoa, or curry powder. Roll the dough to approx 1cm thick. 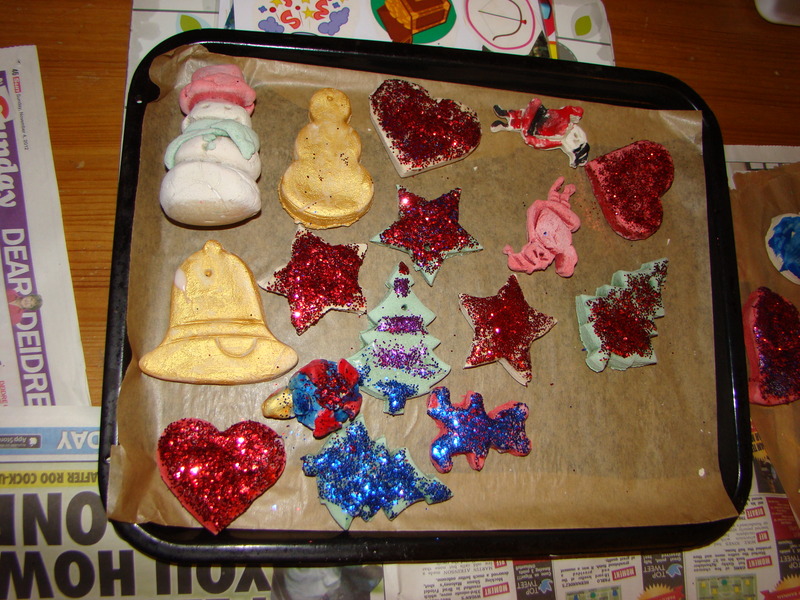 Use shaped cookie cutters (we used a Star, Christmas Tree, Heart, Teddy Bear, Santa, Snowman and a Reindeer) to cut a selection of shapes. As we were making hanging decorations I made a small hole in the top of each shape with a wooden skewer. 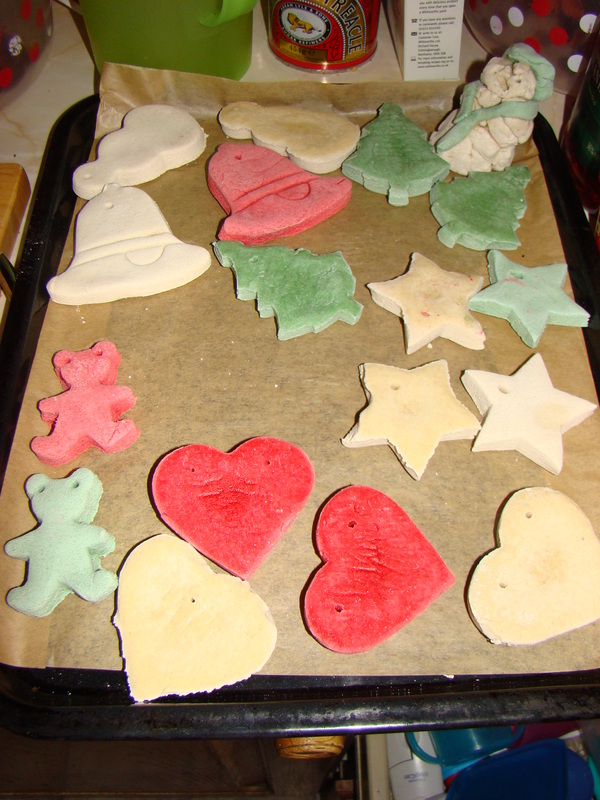 You can leave the shapes to air dry, however this could take several days so I dried ours in the oven. Set the oven very low (around 100 degrees C) and bake until dry. They may still take a few hours to dry (ours took 2-3 hours) and you can set the oven hotter to speed up the process, but the dough will brown. When the decorations are cool they are ready to be decorated. We used paint and glitter. One side decorated with paint and glitter .. in fact, mostly glitter! I must get round to doing this!